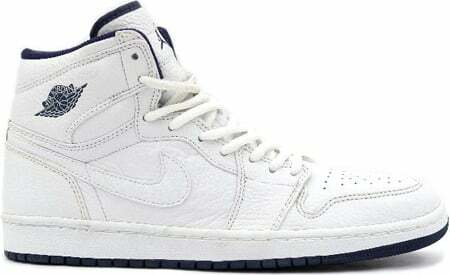 Released in Japan only, the Air Jordan Retro 1 (I) Japan White / White – Midnight Navy was sought after by sneaker enthusiasts around the world, since it is a High Cut Jordan Retro 1. The release date for the Air Jordan 1 (I) Retro Japan White / White – Midnight Navy was August 13th 2001, and retailed at 12,000 Yen. Each pair came with a suitcase, adding to the uniqueness. As of now, a pair can reach $400.